I recently bought a foot switch from Harbor Freight for my scroll saw. I thought it would be fun to try it out on other tools too. Check out my video then read more about my thoughts below. 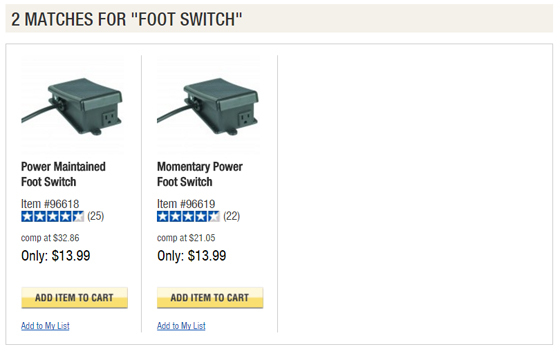 Harbor Freight sells two types of foot switches. The Momentary Foot Switch (Item 96619) works like a sewing machine pedal - press it to make the machine run and release it to stop. 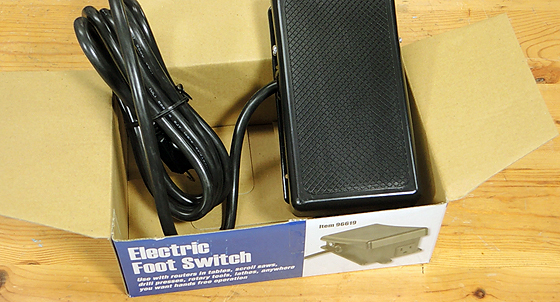 The Power Maintained Foot Switch (Item 96618) works like a regular switch - step on it to turn on and step on it again to turn off. I purchased the Momentary Foot Switch for my scroll saw, because it seems very similar to the use of a sewing machine. The switch works great for this purpose and I highly recommend it. I also recommend this switch for a drill press, sander, and even a router table where the router switch may be difficult to access. My only complaint is that it's made of plastic. 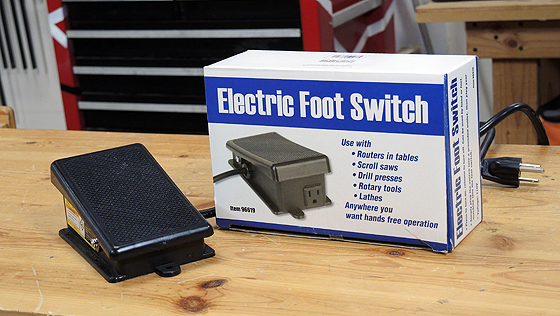 I don't see myself using a Momentary Foot Switch for larger tools, like the table saw, band saw, or lathe. I move around and change my stance a lot when using these tools, so keeping my foot on the pedal would be cumbersome. Also, the thought of accidentally shutting off power to a tool in mid-cut is kind of scary. 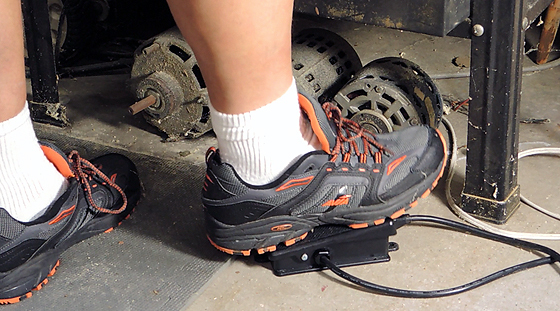 The Power Maintained Foot Switch may be a better option for these larger tools. It could be useful as a secondary stop switch or for hands-free operation when handling large sheets of plywood, but I think the switch itself and the power cables could be a trip hazard. There are some safety considerations when using foot switches, so make sure you follow the safety guidelines that come with the switch. If you have kids, pets, or frequent visitors in your shop, it's a good idea to turn off the tool's main switch when it's not in use and not rely solely on the foot switch. If you blow a fuse or trip a breaker, turn off the tool's main switch before resetting the breaker. Use common sense. I can see where foot switches could make a production environment more efficient for repetitive tasks. 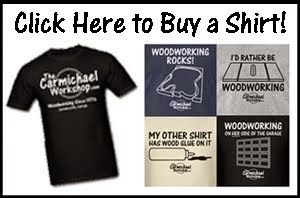 For most of us in a home woodworking shop, speed isn't much of an issue, but there are still some good uses for them. Pick one up for about $13.99 (even less with a 20% off coupon) and try it out on a few tools to see what feels comfortable to you. Just make sure you buy the right type for your purpose. 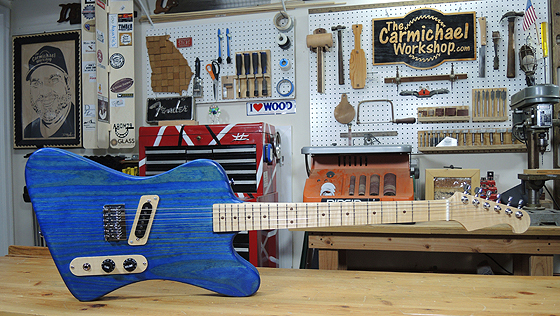 Sidebar Convo with Project Follow-Ups and a Shop Visitor! In this Sidebar Convo, I follow up on some of my most recent projects. 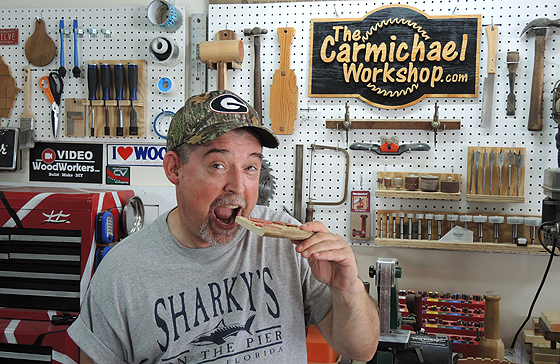 Also Keith Hurley from South Georgia visited the shop and I asked him a few questions about his brand new YouTube channel "Peccy's Place". Check out the video! Subscribe to Keith's channel Peccy's Place. Make some simple Raised Garden Beds. Purchase my Scroll Saw Stand Plans. 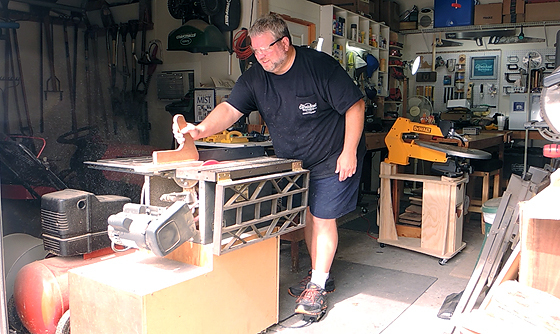 Watch my Scroll Saw Stand Video. Check out my Shoo Fly Don't Bother Me whirligig. See how I make Drumstick Pens from broke drumsticks. Have a look at my Sticker Spinner project. Keith taking a bite out of my Palletroni Pizza! Mmm!